My friend Tony, weighed in on my Canadian version of the London Broil … this was his take on it. So, a few weeks ago I did a “London broil“. 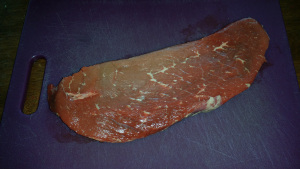 Carnivore Confidential weighed in on the Canadian version of “London Broil“. It looked so good I had to do my thing to it. Just so happened that I had made some bratwurst here over the weekend and had some leftover that I did not put in casings. Perfect for this application. Grab a nice top round. Butterfly that thing then grab a meat tenderizer and beat the crap out of it without tearing it up too bad. 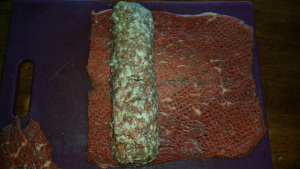 Trim off any necessary to create a better shape and put on a good log of sausage. In my case, the bratwurst. This is something I wrote back in the early days of my Blog when I didn’t have very many followers. When I started writing this Blog, I was only posting to Facebook. I obtained the domain name “Carnivore Confidential” but, everything I wrote was posted to F/B. let’s face it folks … not everyone drank the F/B Koolaid. It never occurred to me that anyone NOT associated with F/B wouldn’t be able to read my posts. Ya, … I know naive but, I digress. Unfortunately F/B limits me to 150 words per post and, I realised I was losing ‘traffic’. So, I obtained this website for Carnivore Confidential. Then, I started writing short ‘teasers’ for my posts on F/B and asked readers to “read the rest” at www.carnivoreconfidential.com. I figured this way, EVERYONE outside of the F/B world could read my stuff if they chose to do so. 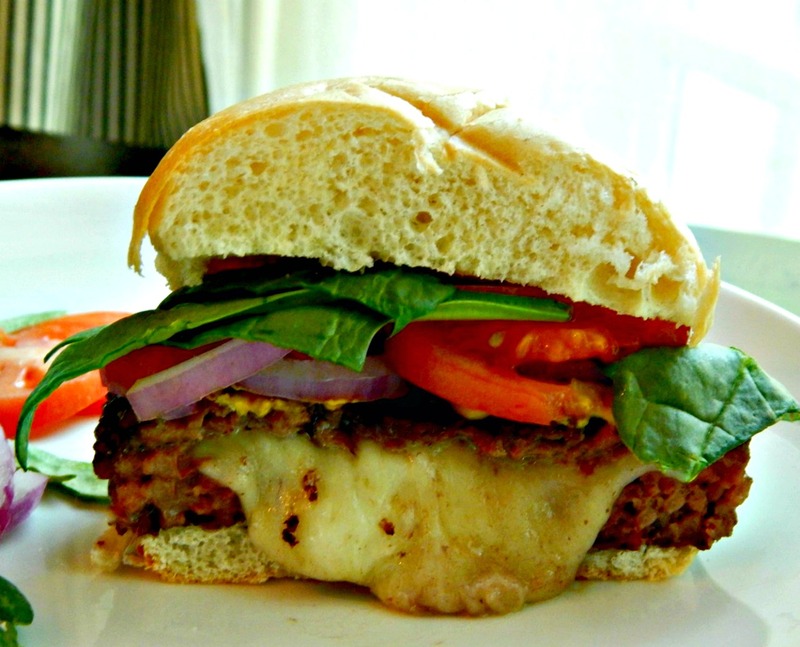 Juicy Lucy – Cut in half, but of course you don’t want to do this!